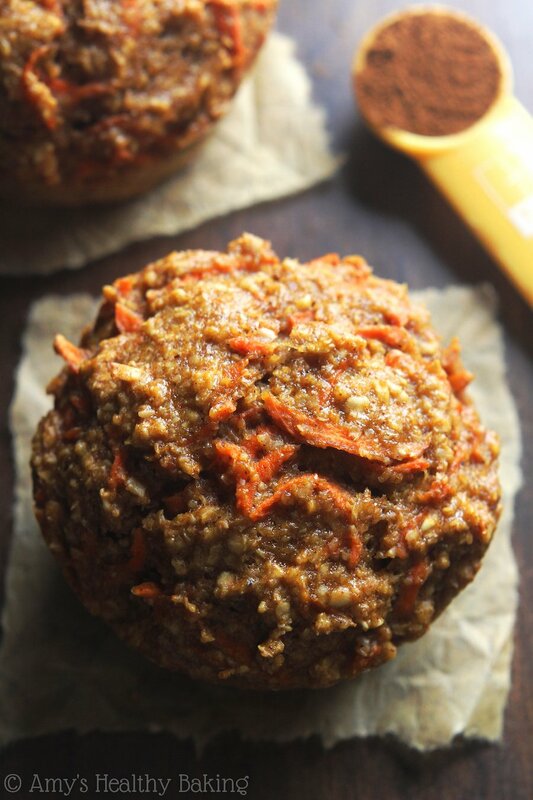 Warm, cozy bran muffins full of spices & shredded carrots. 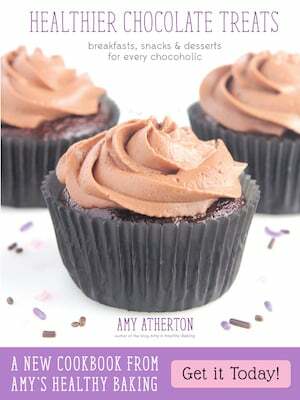 They’re as soft & tender as cupcakes, but they’re made without butter, refined flour or sugar. Just 115 calories! My best friend works in a bakery as her full-time job. Every day, she earns an income staying elbows-deep in flour and making muffins, scones, cookies, and cakes. How neat is that?? 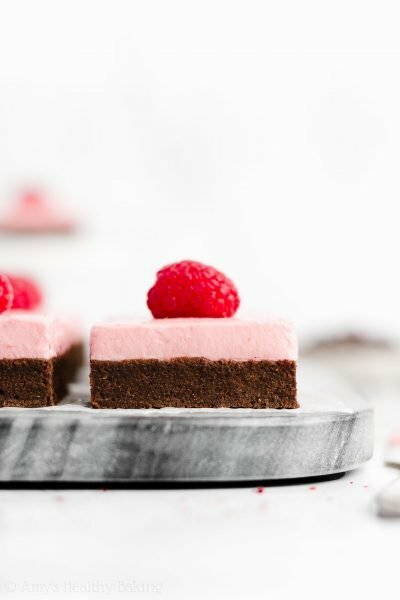 I must admit, I’m a tiny bit jealous… I’d love to open up my own bakery someday! As much as she loves baking, there’s one major downside: the work hours. Her alarm rings just after 3 am, she arrives at the facility before 4:30 am, mixes and shapes and bakes until 2, and slides between the covers to go to sleep by 7 pm. With the days growing longer and the sun setting later, that early bedtime would really throw me off! A few weeks ago, she visited me shortly after I posted these blueberry buttermilk bran muffins. She mentioned her morning driving routine—nibbling on a muffin and sipping her coffee as she cruised down the empty freeway to work—so I sent her home with the rest of my batch. The very next day, she texted me, exclaiming that they were the best bran muffins she’s ever eaten. That’s high praise coming from a professional baker! 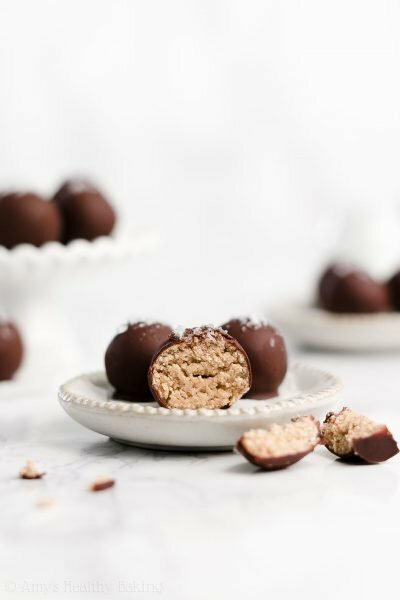 When she stopped by again last week, she explained that she tried switching to granola or protein bars when her muffin stash ran out, but those just weren’t the same. 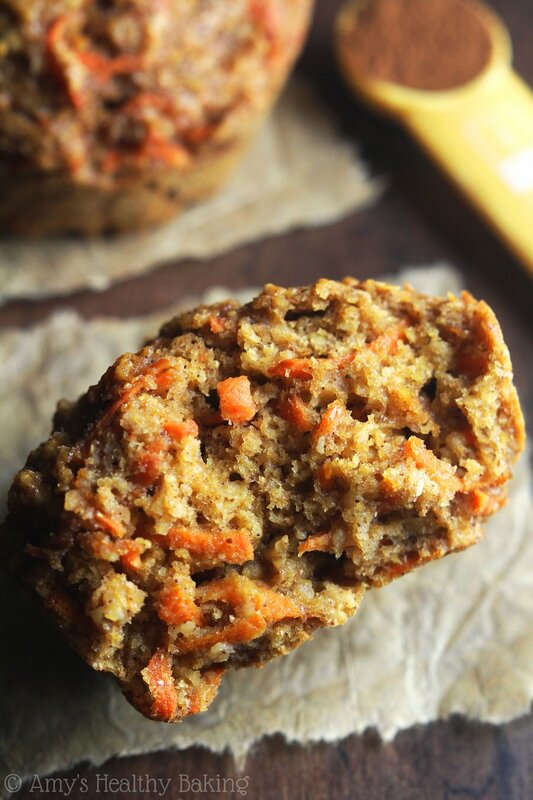 Nothing beats the texture and flavor of a soft, tender muffin! 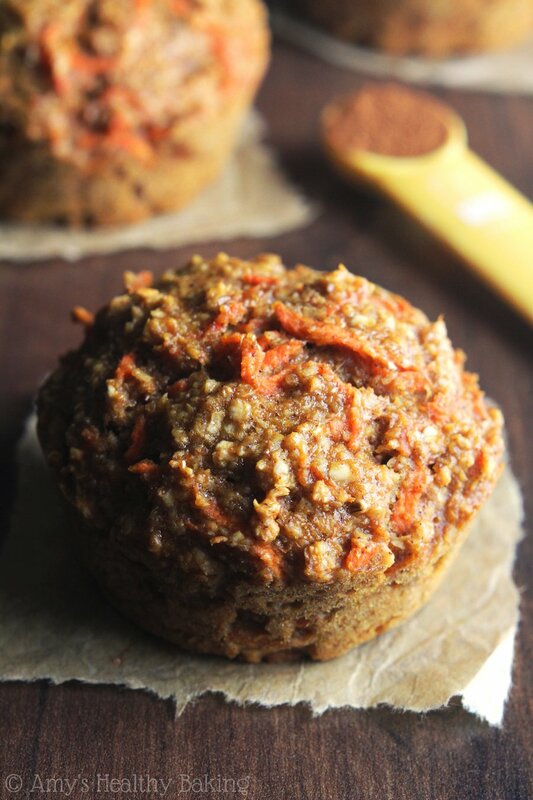 Since we both love our veggies as much as baked sweets, I immediately mixed up these Carrot Cake Bran Muffins for her to enjoy. 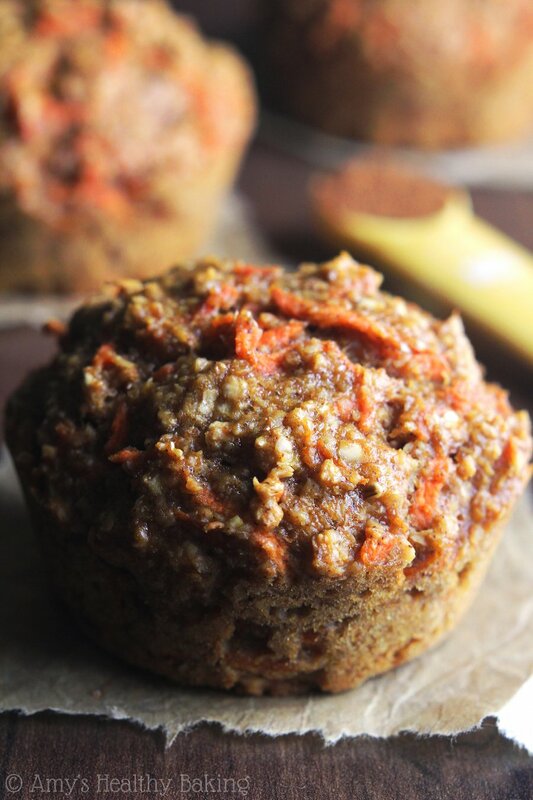 Many people think of bran muffins as bland or dry, but these are the exact opposite! 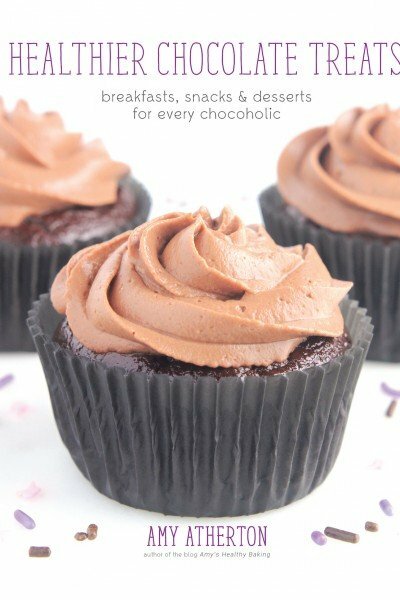 They’re practically as tender as cupcakes and are bursting with warm, cozy flavors. So how do we do that? How we mix together the ingredients determines the texture of the muffins. 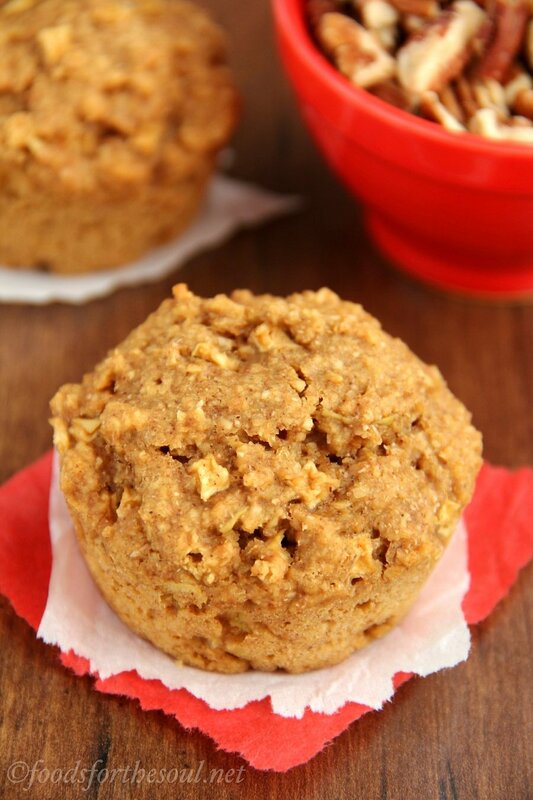 Many recipes stir in the oat bran along with the dry ingredients, but this leads to dry muffins. 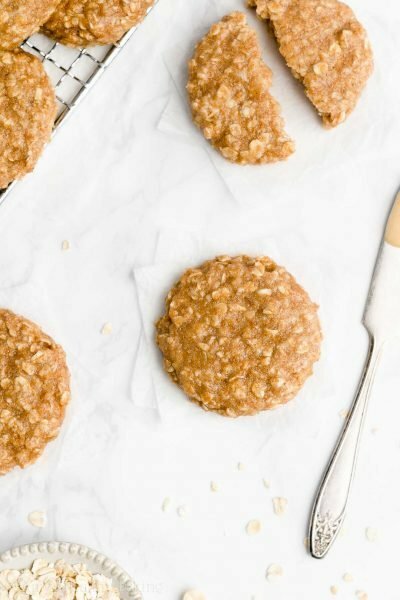 Instead, soak the oat bran in milk, Greek yogurt, and vanilla before measuring anything else. 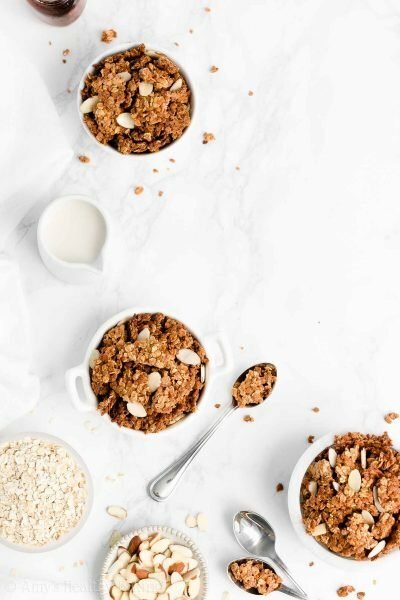 Similar to soaking oatmeal to make overnight oats, soaking the oat bran softens it and creates that tender muffin texture we want. 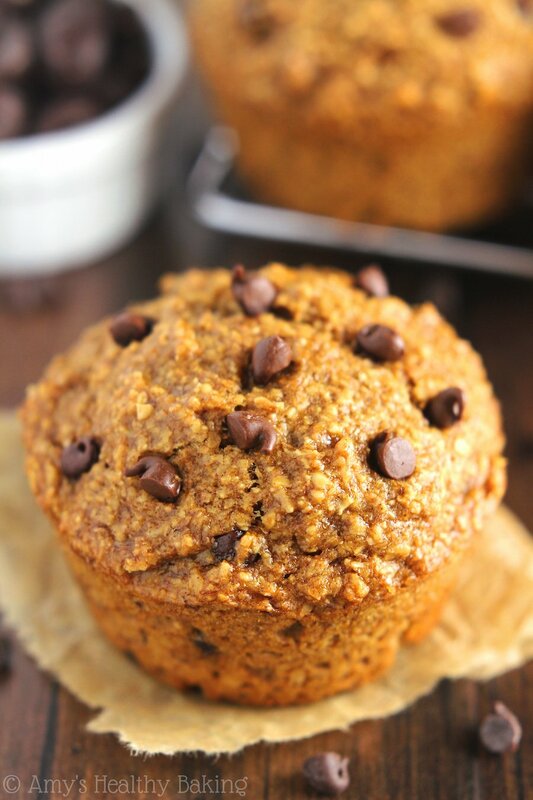 Two ingredients create the characteristic cozy bran muffin flavor: molasses and cinnamon. Molasses has a warm, rich, earthy taste, and I always envision cool foggy mornings paired with a tall cup of coffee and fleecy blanket whenever I bake with it. In other words, it adds the ultimate cozy taste! You can find it on the baking aisle near the maple and corn syrups. Cinnamon also provides a warmth and depth to bran muffins. Because I love adding it to my carrots cakes, I also sprinkled in a little nutmeg as well. When paired together, these two spices create a tantalizing aroma while the muffins bake and cool on the counter, which always tempts me to break into one while the steam still drifts off the top. The burnt fingers and tongue would be worth it! 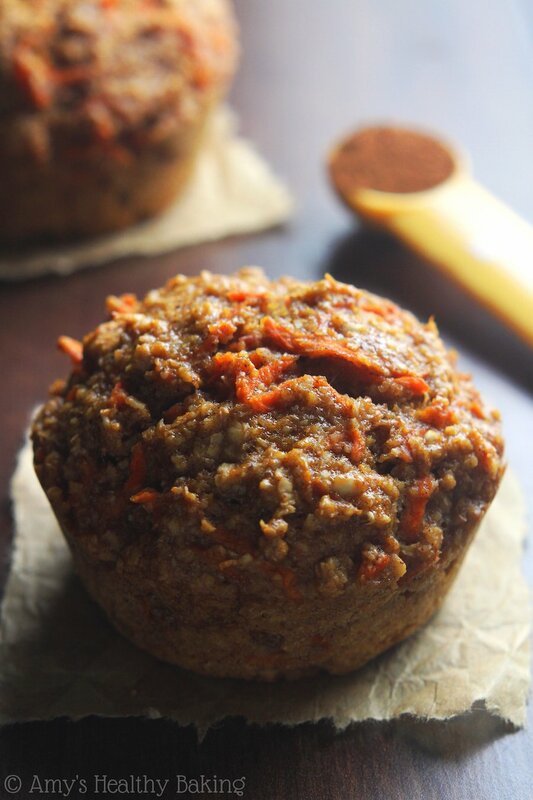 The final important ingredient in these particular bran muffins is the shredded carrots. About 3 large carrots, peeled first, will yield the amount you need. To make quick work of shredding, use a food processor! 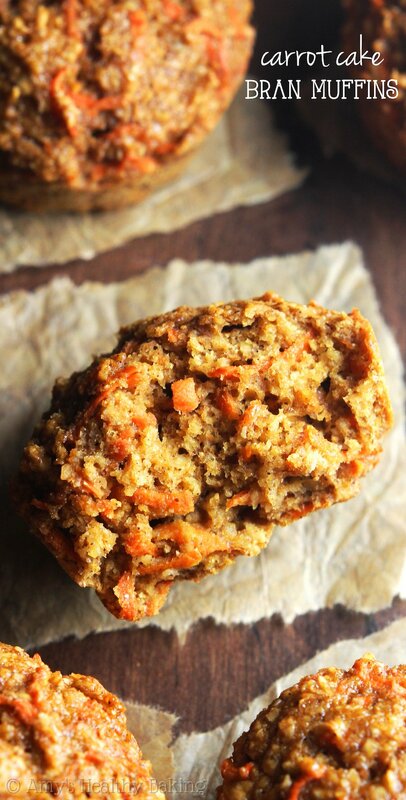 Do not buy pre-shredded carrots; those are dry and would result in subpar muffins. 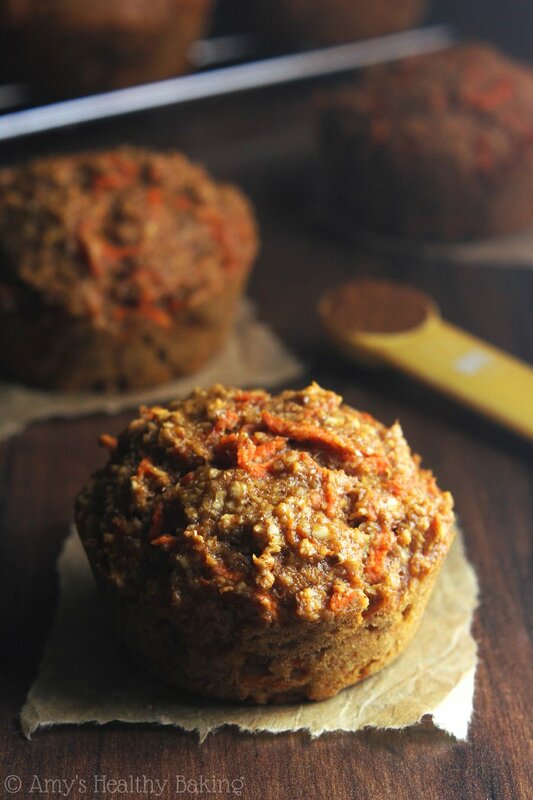 I handed these Carrot Cake Bran Muffins to my best friend as soon as she walked into my kitchen last week, and she sampled a small bite… Which lead to the entire muffin. She said that these were even better than the last ones—maybe even the best muffins she’s ever had! Whisk together the flour, baking powder, cinnamon, nutmeg, and salt in a separate bowl. In a third bowl, whisk together the coconut oil or butter and egg. Stir in the honey and molasses. Mix in the bran mixture. Add in the flour mixture, stirring until just incorporated. Fold in the shredded carrots. Divide the batter into the prepared muffin cups. Bake at 350°F for 20-23 minutes, or until a toothpick inserted into the center comes out clean. Cool in the pan for 5 minutes before carefully turning out onto a wire rack. Notes: For the gluten-free flour, use the following blend: ½ cup (60g) millet flour, ¼ cup (30g) tapioca flour, ¼ cup (30g) brown rice flour, and ¾ teaspoon xanthan gum. Most store-bought blends (like this one!) should also work, as long as they are measured like this. Other readers have had success substituting wheat bran for the oat bran. I have not tried that myself and cannot personally vouch for that substitution. Do not buy pre-shredded carrots. They are not as moist and will result in subpar muffins. 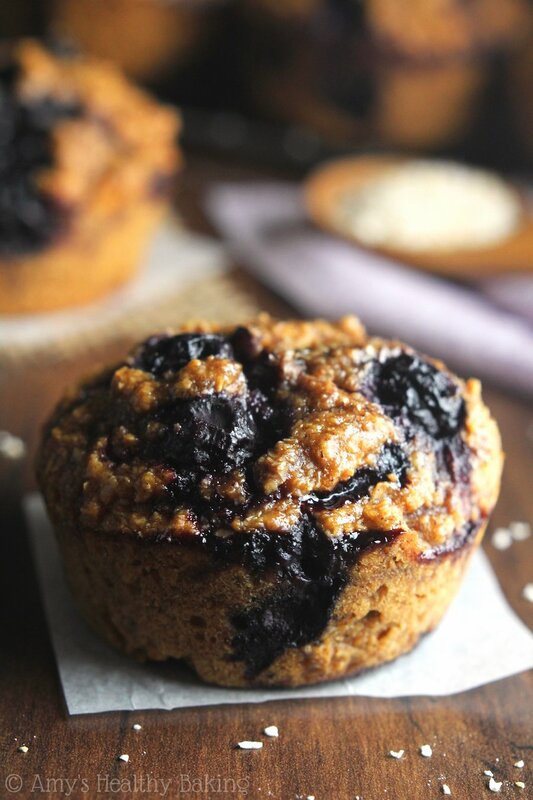 ♥ Blueberry Peach Bran Muffins by Healthy. Delicious.